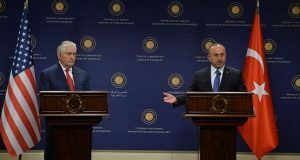 Washington will send next week a delegation to Ankara to meet Turkish authorities in a bid to end the diplomatic row, which birthed this week following suspension by the US embassy of non-migrant visas. In retaliation, Turkey suspended at its Washington Embassy non-immigrant visa services citing security concerns. 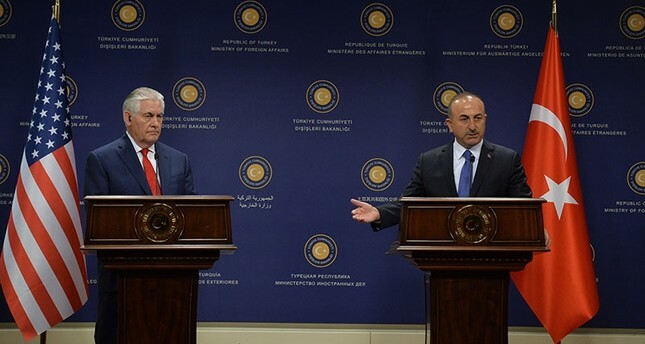 The announcement comes in the wake of diplomatic phone conversation between Turkish foreign minister Mevlüt Çavuşoğlu and US Secretary of State Rex Tillerson on Wednesday on the crisis. Sunday the US embassy in Ankara decided to suspend the issuance of non-migrant visas across Turkey after Turkish national Metin Topuz, an employee of the US Istanbul Consulate was remanded in custody over terror charges by an Istanbul court last week. Topuz is accused of links to FETO, a group linked to Turkish US-based cleric Fetullah Gülen, finger-pointed by Ankara as the mastermind of the failed 2016 military coup. Ankara lists FETO as a terror group. The State Department has announced that Deputy Assistant Secretary for European and Eurasian Affairs Jonathan Cohen will lead the delegation. Diplomatic sources on both sides, familiar with the issue, hint that the crisis will be solved with the departure of Ambassador John Bass who is expected to leave in the coming days. Written by: KanelkaTagba on October 12, 2017. Posted by KanelkaTagba on Oct 12 2017. Filed under Headlines, World News. You can follow any responses to this entry through the RSS 2.0. Both comments and pings are currently closed.